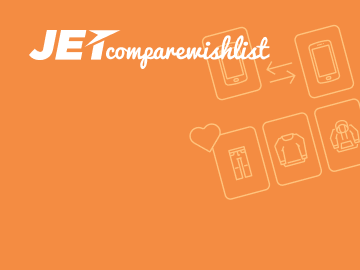 Add so easy-to-use, yet, potent wishlist and compare functionality to your store. Increase your revenue within several clicks. Can I use the Single Site license for a separate item purchased at CrocoBlock on more than 1 site? No, to use the separate CrocoBlock plugin on more than one site you’ll have to get an Unlimited sites license for the item. What license type do I need for the separate item to use it on the unlimited number of sites? You need to purchase the Unlimited sites license for each of the separate plugins to use them on an unlimited number of sites. Will I get support for the separate items purchased from CrocoBlock? Yes, CrocoBlock team provides 24/7 support for the separate items during one year from the purchase date (both for the items with Single site and Unlimited sites license types). Can I include the separate items purchased from CrocoBlock in the templates to resell them? No, you can’t resell the separate items you’ve purchased from CrocoBlock. You can resell them neither at different marketplaces nor sell the templates on different marketplaces with the separate items from CrocoBlock included. Can I get a refund for separate items purchased from CrocoBlock? Yes, you can use a money-back guarantee and get the money back in case you don’t want to use the product anymore, during one month from the purchase date. What are the technical requirements for the separate items purchased from CrocoBlock? SSL certificate on the server. Is it possible to get the CrocoBlock license by paying the difference between the already purchased items and the subscription’s price? No, the standalone items are represented apart from the subscription. To get CrocoBlock subscription one has to purchase it, paying the full price, regardless of the items he already has bought.